Compatible Black Toner Cartridge with 2,500 high capacity page yield. Equivalent to Dell part number(s): 331-7328, DRYXV, RWXNT. 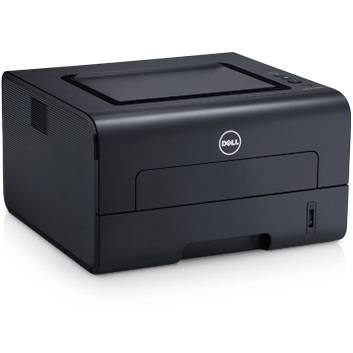 Fits the following model(s): Dell B1265dnf, Dell B1265, Dell B1265dfw. 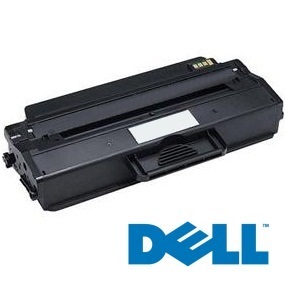 Buy our high quality compatible toner for Dell B1265dnf with confidence. Join thousands of happy customers who have found our compatible products are equivalent in page yield and print quality. For our compatible products, we offer a 100% Satisfaction Guarantee allowing you to return products within 6 months if you are unsatisfied. 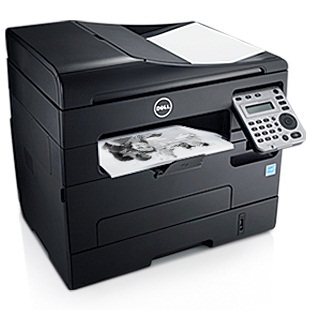 The Dell B1265dnf is a step up from its base model, the B1265, expanding to include capabilities like network connectivity, double-sided printing on media and a fax machine. The device works at moderately quick speeds, with monochrome documents printing at a rate of 28 pages per minute and faxes sending at a rate of approximately 3 seconds per page. This 4-in-1 laser printer is able to print, scan, copy and fax documents, providing key business features and capabilities that will suit small offices. The unit can work as both a standalone copier and fax machine, and also offers printing, scanning and faxing from a PC over the office network. Measuring 15x16x13 inches, this device isn't too bulky considering its multipurpose design, but may be too large to share a desktop with. Partly contributing to the bulk is its decent bundle of office-centric features, including its 40-sheet automatic document feeder that can quickly scan large jobs, and its user-friendly control panel. This panel incorporates a monochrome LCD for updates on document progress and the level of toners, as well as a keypad for fax dialing. The B1265dnf's paper handling is flexible enough to support low to medium-volume offices, with its 250-sheet input tray and single-sheet manual feed. Offices will also benefit from its strong performance in text and mixed graphic output tests, printing at a resolution of 600x600 dpi using black Dell B1265dnf printer toner. The unit uses a single black Dell B1265dnf toner cartridge located directly under the front panel that is both easy and inexpensive to replace. Each replacement supply can yield up to 2,500 pages, and to help reduce running costs, users can purchase low-cost remanufactured Dell B1265dnf toner cartridges. Considering its multifunction design, quick speeds and efficient control panel, this machine incorporates the necessary components of an office printer. Small offices with low to medium volumes looking for a versatile device and inexpensive running costs should consider the B1265dnf.